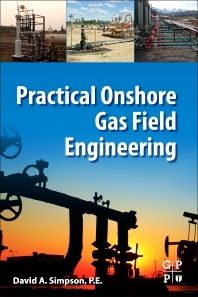 Practical Onshore Gas Field Engineering delivers the necessary framework to help engineers understand the needs of the reservoir, including sections on early transmission and during the life of the well. Written from a reservoir perspective, this reference includes methods and equipment from gas reservoirs, covering the gathering stage at the gas facility for transportation and processing. Loaded with real-world case studies and examples, the book offers a variety of different types of gas fields that demonstrate how surface systems can work through each scenario. Users will gain an increased understanding of today’s gas system aspects, along with tactics on how to optimize bottom line revenue. As reservoir and production engineers face many challenges in getting gas from the reservoir to the final sales point, especially as a result of the shale boom, a new demand for more facility engineers now exists in the market. This book addresses new challenges in the market and brings new tactics to the forefront. David Simpson is currently the Principal Engineer and Owner of MuleShoe Engineering. His role involves providing engineering consulting services for the oil and gas industry focused on artificial lift, coalbed methane, and facility design. He has authored numerous journal articles, earned three patents, and is active in SPE, ASME, NACE, and NSPE. He is also an independent instructor teaching unconventional upstream operations and unconventional upstream operations engineering for practicing oil and gas engineers. David earned a BSc in industrial management from the University of Arkansas, a MSc in mechanical engineering from the University of Colorado, and is a registered professional engineer in Colorado and New Mexico.